AKIPRESS.COM - A million-year-long period of extreme volcanic activity most likely paved the way for the dawn of the dinosaurs, a study suggests. 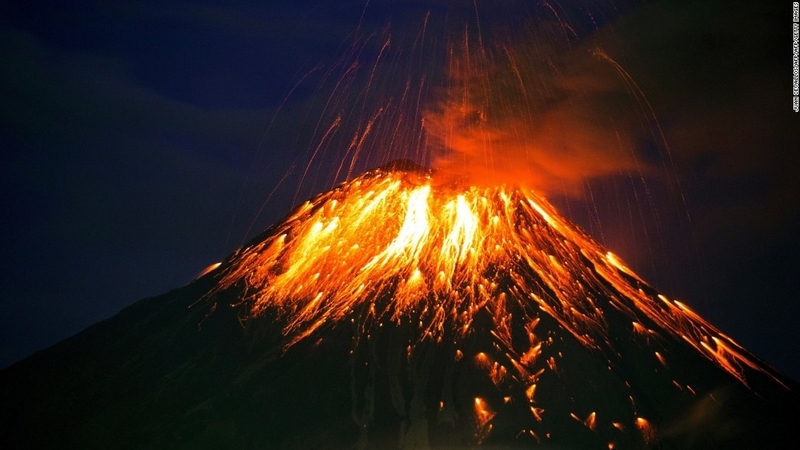 Scientists have analysed ancient rocks and have found traces of emissions from huge volcanic eruptions that happened about 200 million years ago, BBC reported. This would have led to one of the largest mass extinctions on record, enabling dinosaurs to become dominant. Lead author Lawrence Percival, from the Earth sciences department at Oxford University, said: "The dinosaurs were able to exploit those ecological niches that were left vacant by the extinction." The researchers looked at volcanic rocks from four continents that date to this turbulent time. A previous study assessed how levels of carbon fluctuated in the rocks, which is linked to rises of carbon dioxide from volcanic eruptions. But this research looked at a different fingerprint for volcanic activity: mercury. When volcanoes erupt, they emit traces of mercury in the plumes of gas that rise into the sky. This then spreads throughout the atmosphere before being deposited in sediments on the ground, where it remains for millions of years. "If you can see a big spike in mercury in those sediments, you can infer there is volcanism happening at that exact time," explained Mr Percival.